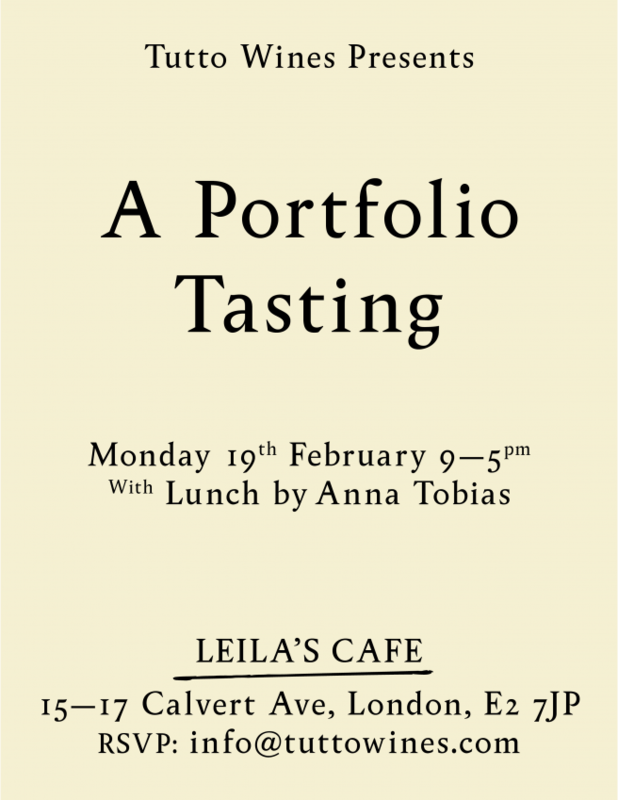 If you work in the trade, join us on Monday 19th February from 9am-5pm for our Portfolio Tasting. Taking place in the wonderful surrounds of Leila’s Cafe in Shoreditch, it will be our first major tasting of the new year and a chance for us to show you some exciting new arrivals and pour some rare wines we don’t often get the chance to share. We’ll be showing new releases from the likes of La Grapperie, Domaine Sauveterre, Testalonga, Marko Fon, Skerlj, La Distesa & Jean-Pierre Robinot. You’ll also be able to try Frederic Cossard’s beautiful new wines from the Jura, along his experiments with maceration for the very first time. As many of these wines are made in tiny quantities, this may be your only opportunity to try them. All that wine is bound to make you hungry, so we’ve invited our friend Anna Tobias along to make a ox tongue and green sauce panino for you all. You are welcome to drop by anytime, but we kindly remind you that the tasting is for the trade only.